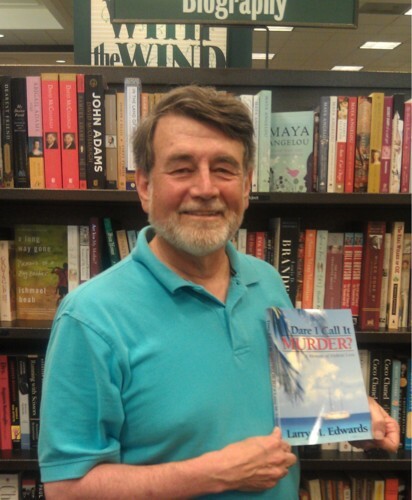 at Barnes & Noble Encinitas, Sept. 21, 2013. Warwick's photos courtesy of Sue Barrera. 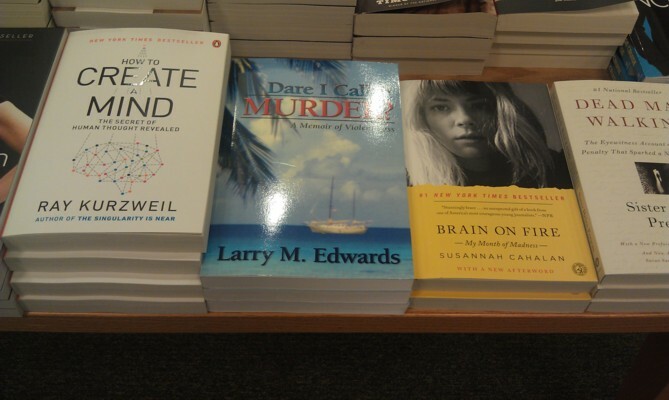 at Warwick's Books in La Jolla, CA, Sept. 22, 2013. 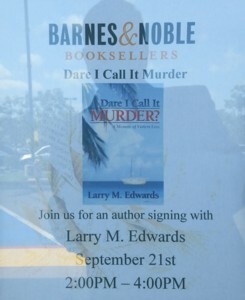 Author Larry Edwards at Warwick's Books in La Jolla. 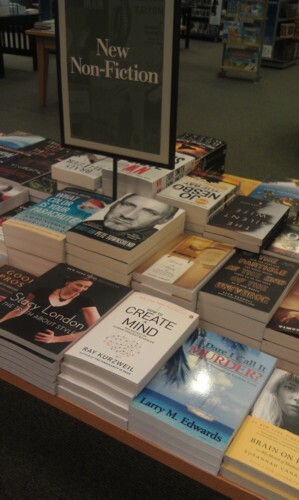 The author (right) with Chris Patskan (left) and Rick Dower. Larry Edwards with Margaret Harmon (left), author of the enlightening The Genie Who Had Wishes of His Own: 21st-Century Fables. 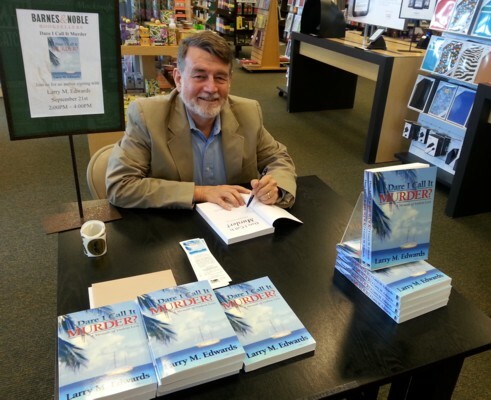 Larry Edwards with Lee Fullbright (left), author of the award-winning and insightful The Angry Woman Suite. with Sara and Keith Mayers . . .
. . . and Sharon Everett. John Skirgaudas (left) and John Mullen. Larry Edwards with Courtney Mayer, adjunct professor, Point Loma Nazarene University (and delightful next-door neighbor). The gang's all here: Author Larry Edwards (center) with his family of friends, authors and supporters (l-r): Ellen Cadwallader, Suzanne Cadwallader, Arthur Raybold, Rick Dower, Keith and Sara Mayers, Edwards, Sue Barrera, Chris Patskan, Larry and Lynn Carleton, Kathy Ambrose, John Mullen and Terry Ambrose.